Asthama Treatment pack is a complete herbal solution to Asthma Problem. It includes puerly herbal formulations that provides relief from the symptoms of asthma like cold, cough, sneezing, tightness in chest, respiratory issues. It also rejuvenates lungs and improves immunity, thus relives from the disease. Asthma is a disease related to the human respiratory system. in this disease, air passages become inflamed and narrow often in response to a trigger such as exposure to an allergen, cold air, excessive exercise or emotional stress. Patient experiences wheezing, chest tightness, shortness of breath and coughing. Symptoms: cough either dry or wet, tightness in chest, difficulty in breathing, wheezing sounds in the chest, shallowness of Breath. Asthma without allergy: in some persons asthma triggers due to some upper respiratory tract infection like cold,flu and rhinovirus. Aspirin-exacerbated respiratory disease(AERD) ; in some people, aspirin causes sneezing and running nose which leads to inflamed airways, wheezing and then difficulty in breathing. Exercise-induced asthma: in this type, any hard physical activity like sports, exercise leads to difficulty in breathing and cough. Cough variant: It is characterized by a dry cough and can trigger in either day or night. Occupational asthma: it occurs due to inhaled chlorine or smoke or any other irritant at the workplace. Aggravated Kapha (water) accumulates in the airways, leading to their narrowing and obstruction. This causes an interruption in the flow of the air in the lungs, causing shortness of breath and difficulty in breathing. This occurs because of taking more of vata (air) and kapha increasing foods, weak lung tissues, and various diseases affecting the lungs. People who live in cold and wet areas, eat more cold food or drink, eating foods that are not easily digestible leads to Ama (mucus) formation that blocks the respiratory channels also causing difficulty in breathing. 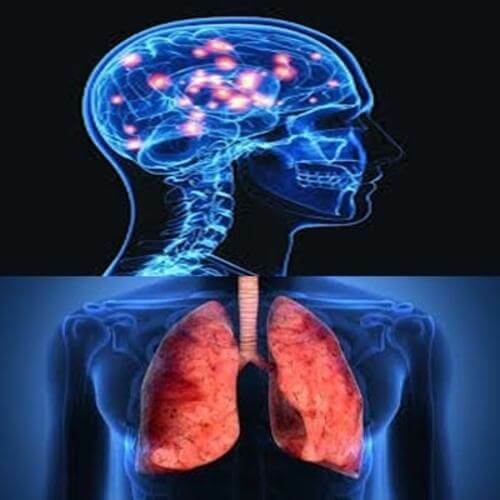 Ayurvedic View: according to Ayurveda, asthma is caused due to the imbalance in kapha and vata dosha along with mandagni or low metabolism or impaired digestion and dushit mala or incomplete evacuation of the stomach. Due to excessive intake of kapha aggravating food and lifestyle like eating more and more milk products ,curd at night, intake of cold water, living in cold and humid area, bathing with cold water in cold weather area ,exposure to dust, smoke, pesticides and pathogens, all these factors vitiates kapha dosha which in turn vitiates vata dosha ,mala and agni thus causing asthma. Ama (mucus) gets deposited in the lungs and respiratory tract create an obstruction in breathing and causes wheezing or coughing ayurveda, we recommend ayurvedic herbs and herbal combination which pacifies Kapha and cleanses toxins from the body. if digestion is impaired then it is restored with ayurvedic medicines and the right diet and lifestyle changes are recommended Also, specific herbal combinations are given to boost the body’s immunity. This Asthma package is for 30 days only , After 30 days our ayurveda expert will review the case and prescribe the further treatment accordingly. Why is Deep Ayurveda Asthma Treatment different from others? This Wellness Package is formulated by the renowned & world famous Ayurvedacharya- Dr Baldeep Kour who is founder & medical director of DEEP AYURVEDA and practicing in ayurveda since last 12 years and focusing on treatment of chronic diseases. We manufacturing every products only on the basis of actual clinical trials and clinical results by the team of ayurveda doctors on thousands of patients at their own ayurvedic clinics. We using best quality herbs and standard dosage as prescribed in ayurveda text. We never compromising with quality and quantity and all formulation is developed and manufactured only at our own manufacturing units. This wellness Package is a unique blend of 100% herbal formulation which can be used by anyone for healthy living. Presentation – All medicine will come in Corrugated Box. In our all herbal formulations, we used only 10:1 herbal extracts in appropriate quantity as per detail mentioned on label of each product. Delivery : With in 5-7 Days from the date of order. Payment Method : You can buy it online by doing payment through net banking, debit card, credit card. Disclaimer : These products are not intended to diagnose, treat, cure any disease. Always Consult your Ayurvedic physician before taking any ayurvedic medicine.